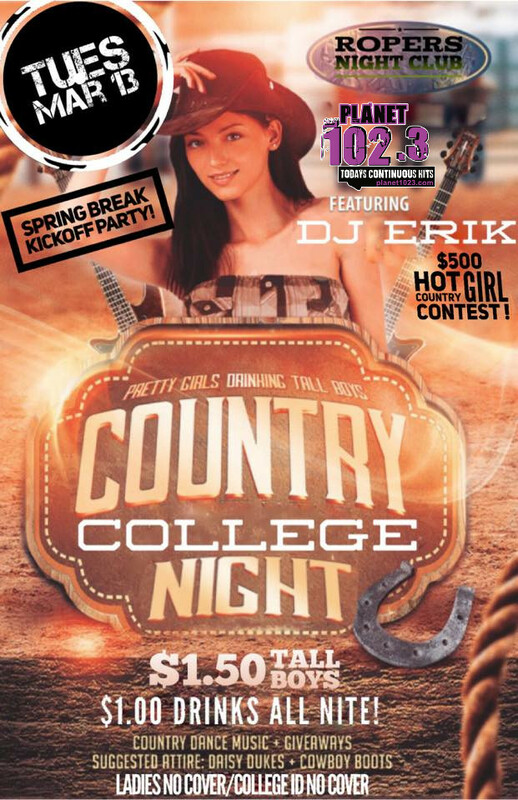 Get Ready For Our Biggest THREE Nite Stand Spring Break Party Ever Hosted By Planet 102.3!! 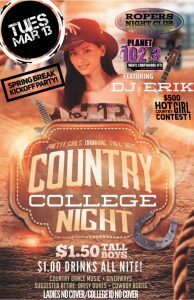 It all kicks off this Tuesday nite with $1 drinks all nite, $1.50 Tall Boys and the $500 Hot Country Girl contest sponsored by Phat Tats! Plus everyone that shows up Tuesday for the Spring Break Kick Off Party will get a free VIP pass for the “No Shirts, No Shoes, No Problems” Bikini Party Wednesday Nite hosted by San Antonio Spurs’ Dj Quake ???? ???? Play Hard, Party Harder and Stay Safe! !